The season for Sea bass dish is back! The special Sea bass menu is now available at SHUNMI, a Japanese super dining at Novotel Ambassador Gangnam. The summer delicacy has been known for its natural taste from fleshy meat full of amino acids and vitamins. The sea bass has its best taste from June to September and recently favored by women as it works out for the beautiful face. The special Sea bass menu, ,available from June 1, fully features "Sea bass Sashimi," "Sea bass with Konowada and yam," "Deep fried Sea bass," "Marinated Broiled Sea bass," and "Sea bass hot soup" at the price of 55,000won. 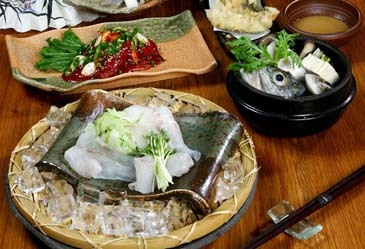 Come join at SHUNMI and beat the heat of summer by refreshing yourself with our special Sea bass dishes.